I'm not dead! Just crazy busy with class, my manicure exam, quitting my job and sorting out the next exciting steps in my life! 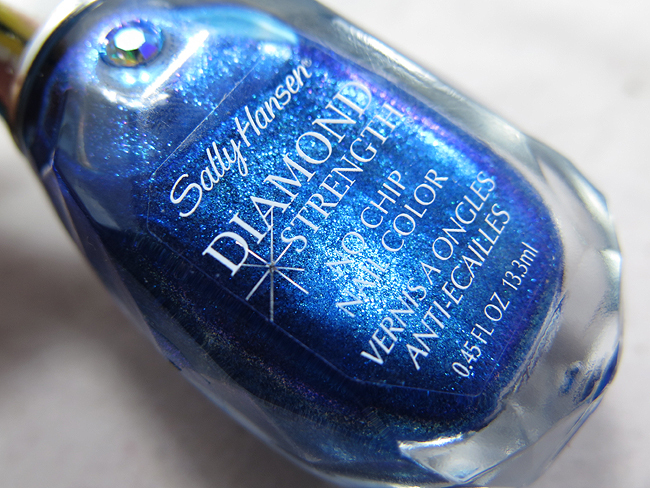 Our swatch today is a polish I have had for literal ages - Sally Hansen Tender Teal from their Diamond Strength line. 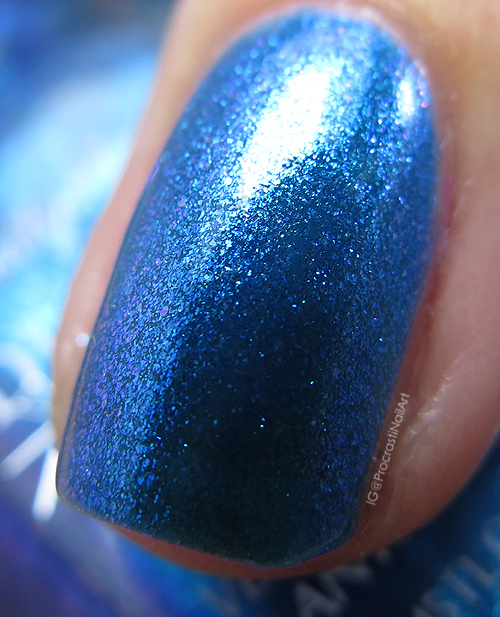 In the bottle this is a gorgeous deep blue shimmer with a hint of purple duochrome in the bottle, but like a lot of mainstream multichrome polishes that colour shift didn't come through on the nail. :( Lame. Pictured is three coats plus top coat. It's a lovely blue, but I really do wish that duochrome came through... Oh well! The verdict? Pretty polish, would be prettier with more of a bold colour shift. Humph! What do you think - do you like it with the basic blue shimmer, or would you like to see something a bit more interesting?